What happens now? 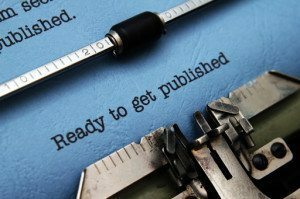 What questions should you be asking before sending your manuscript to a publisher? I’ve listed some important questions below that you’ll need to ask (and answer) now that you’ve finished your manuscript. What is my manuscript word count? Have I run a spell and grammar check? Have I re-read my manuscript from start to finish to check for errors, typos, consistency and flow? Do I have 4 – 6 friends/critics/associates who are willing to read my manuscript, check for errors, typos, consistency and flow, and give me their honest thoughts? Have I taken any suggestions from my reviewers above and made edits accordingly. Have I created a draft Table of Contents? Have I prepared an author bio? Have I written a preface and/or foreword? Do I have a list of reviewers to send the finished manuscript for pre-publishing endorsements? When do I want my finished book on the market? Have I chosen a publisher? If so, what were my reasons? What do I expect my publisher to do for me and my book? Do I have a current audience? What is my goal for this book? What are my marketing plans for this book? Have I worked out a publishing budget? Remember, finishing a great manuscript is just one part of a process that makes your book a success. You’ve come a long way, your manuscript is ready for a publisher! That means you’re one step closer to sharing your book with the world! Congratulations! To schedule a manuscript or marketing consultation, tell us a little about you and your message by completing the form below. To view our publishing packages click here. Have you already published your book? Is your book selling? Is it’s message reaching those you intended it for? Do you feel it could do better? Click here for a list of questions you may need to ask yourself to be sure of your book’s success!